The best start you can make to a tender is to thoroughly read the tender documentation, which will provide a great foundation for building a complete and confident response. All serious tenders come with a medium to large amount of documentation to read. If you’ve carried out the first phase correctly (see Deciding whether to respond to a tender), you’ll already have identified the key information: closing date, evaluation criteria and response document (the questions you have to answer). Now it’s time to settle in and closely read and analyse all this documentation. First, print out all the documents. Hard copy is far easier to work with that soft copy. Place all the documents in a ring binder, with dividers between different sections. Get out your pen, pencil, highlighters and sticky tabs and start reading from the beginning. Reading all the documentation closely gives you a far better feel for what is important to the tendering company. Highlight key information, write notes in margins as ideas emerge, and use the sticky tabs to make sure you can quickly find those ‘a-ha!’ pieces of information you identify. Colour coding with tabs and highlighters can be useful in identifying themed information, such as financial, IT, OHS, key messages, or insights you have as you read. The evaluation criteria tell you what is important to the tendering company, but the rest of the documentation can help place more emphasis on one or more of these criteria and reveal extra things that are also important and should be addressed in your responses. The response document may refer to other documents in the tender package that you need to fill in. Check: do you have those other documents? (Occasionally something will be missing.) How big are they? Do they add significantly to the workload? Are any supporting documents missing? There may be supporting documentation (evidence) required by the response document that you’ll need to gather or develop. Some of this evidence may require lead time, e.g. financial statements. You’ll need to know this so you can issue instructions to have it prepared in time for the submission deadline. Pricing information will often need to be entered into an Excel file. Depending on your industry, these can be quite complex. Examine the pricing file early so you know what will be involved in filling it out correctly. This is not an area where you want nasty surprises at the last minute! The documentation will often contain the contract you will be asked to sign if you win the tender. The business owner/leader MUST read the contract. The response document will often have a section where you can list parts of the contract where you have an issue. Your close reading can identify issues such as ambiguity, missing information, information you suspect is incorrect, or issues that raise questions for you in compiling your response. Identifying these issues early allows you to pose questions to the tendering company before question time closes. Knowing all of this before you walk into the strategy meeting that will develop the tender’s key messages gives your business a big head start on completing a confident and thorough response. 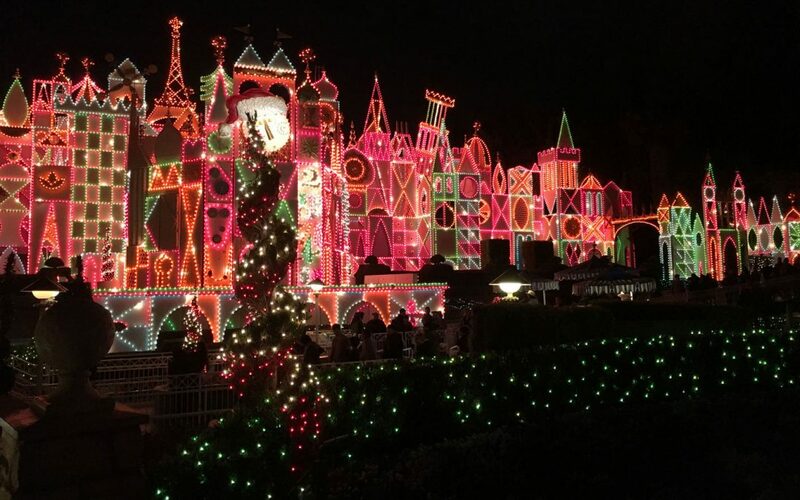 Photo: ‘It’s a Small World’ ride at Disneyland Park, California, showing Christmas seasonal lighting display.